Although it is every woman’s dream of having a baby with her own eggs, it is sometimes not possible due to poor ovarian quality. Age (especially > 42 years). Chemotherapy, smoking and chromosomal anomalies (eg. 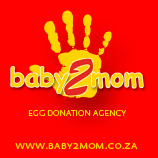 TURNER syndrome) or relative poor quality embryo’s, may lead to a couple needy to consider donor oocytes (eggs). Couples whose infertility is caused solely by a male factor that cannot be treated. There are many donors available with varying physical characteristics and each couple selects their own donor. Information regarding the donor includes physical characteristics, hobbies, academic achievements, etc. Blood tests that test for sexually transmitted diseases eg. : HIV, Hepatitis B and C.
Click the below logo for more information and contact details for each agency.